THE GUNNERS GET BACK INTO ACTION THIS THURSDAY WHEN THEY TAKE ON BATE BORISOV AS THEY HOPE TO MAINTAIN THEIR GOOD START TO THE EUROPA LEAGUE CAMPAIGN. The gunners will be getting back in action this Thursday as they will be travelling out of London to Belarus to take on BATE Borisov as they hope to keep up their good start to the Uefa Europa League because they are currently first on the table. This match will probably not be that important to Arsene Wenger because the Belarusian football club is considered to be a lower class than the gunners and it is believed that Arsene Wenger will start a youthful team like which begun the Doncaster Rovers‘ match two weeks ago but it might be a good idea to avoid underestimating clubs so the Arsenal supporters will be hoping that their manager makes a great lineup which will consist of un active players who are always on the bench in important matches. Arsenal missed out on a Uefa Champions League spot last season for the first time in the 20 years Arsene Wenger has managed the north London club so this is a new challenge for them to be in a competition they are not used to but they will hope they become this season’s Europa League victors because the competition gives the club that has won it an automatic qualification to the Uefa Champions League but Arsene Wenger said that it is better for a team to go into the most respected European trophy through the English Premier League than qualifying through winning the Europa League. The gunners finished 5th last season in the league while their Thursday’s opponents won their last season’s league campaign meaning Arsenal should not take them for guaranteed and it would be embarrassing and disheartening if they lose the match because it is a match where everyone would gladly bet that Arsenal are gonna win although they are away like 2,400 miles from home. This match will be a chance for Arsene Wenger to rotate his squad and give some youthful players a chance to impress because they will be playing three matches in just six matches. 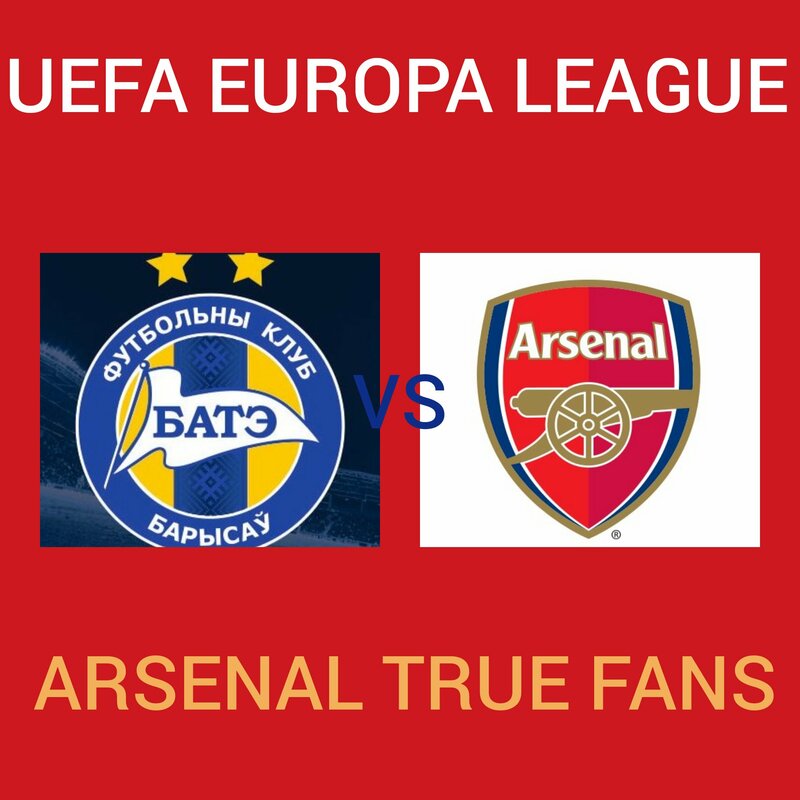 BATE Borisov has been the better team than the gunners as they have won four and drawn one of their last five matches they have played this season while Arsenal have won four and also drawn one of their last five matches as well meaning the two teams have the same record in their last five matches. Most football analysts believe that this will be an easy win for Arsenal.